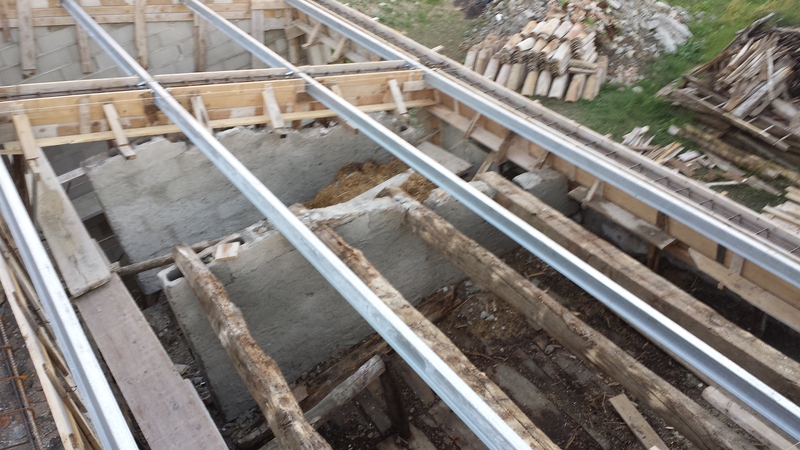 Italian Update: and the walls came tumbling down! 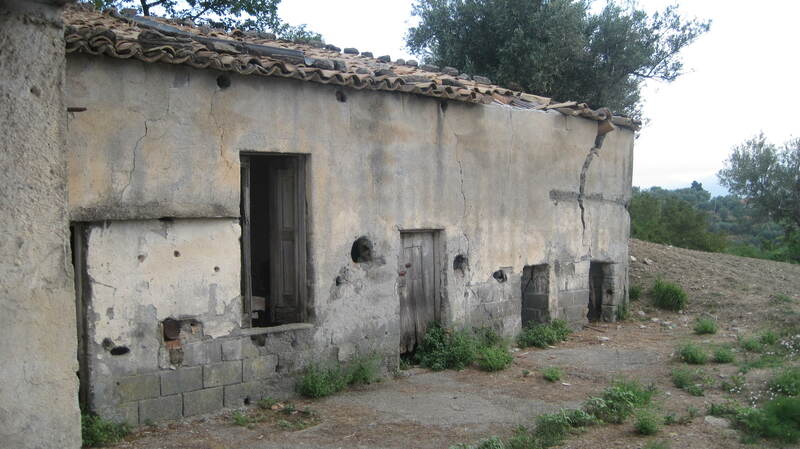 Our Italian farmhouse came with a barn. It survived the many years without feathery or furry occupants only by the hairs of its chinny-chin chin. It desperately needed emergency surgery and fast! 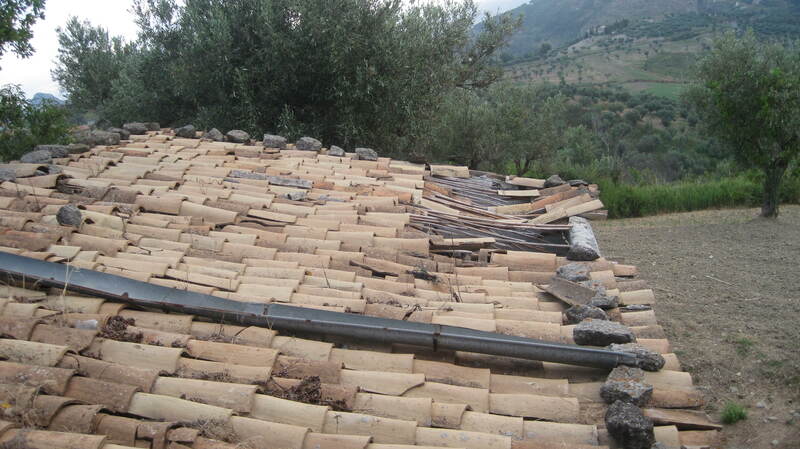 During our last trip we noticed tiles had fallen in on the roof and knew that if we didn’t deal with the situation, it would only get worse and more expensive. 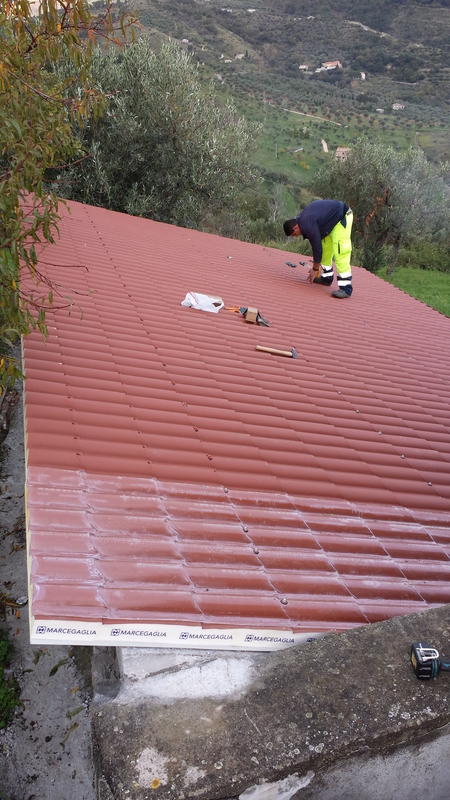 And before we could say “now what” – Ralph (our Italian contact and frequent advisor) sorted a temporary situation out that is currently giving us enough time to come up with the best use for the space. The barn really needed help and fast! 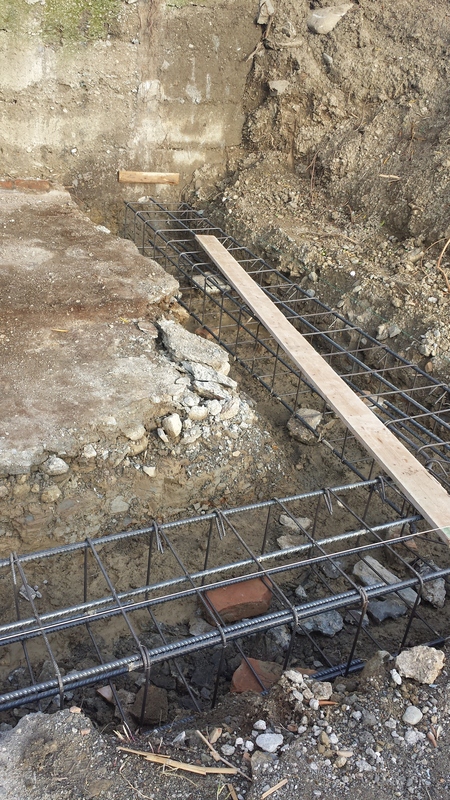 The reinforcement around foundation begins! 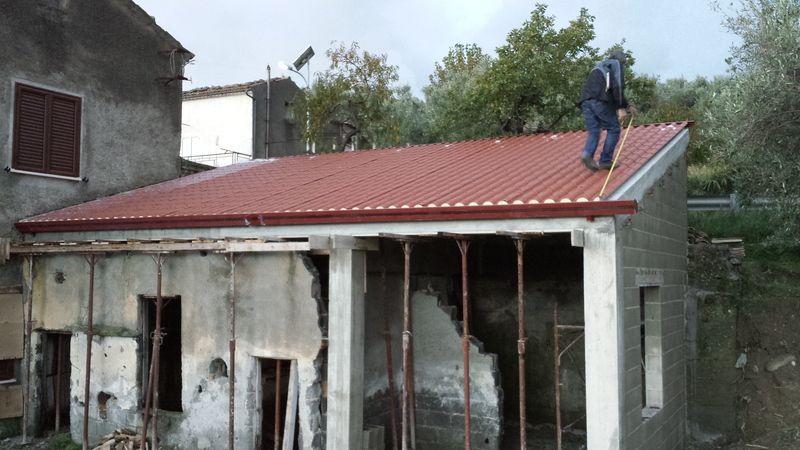 Basically, we have put a cement brace around the building and given it a new fancy roof. 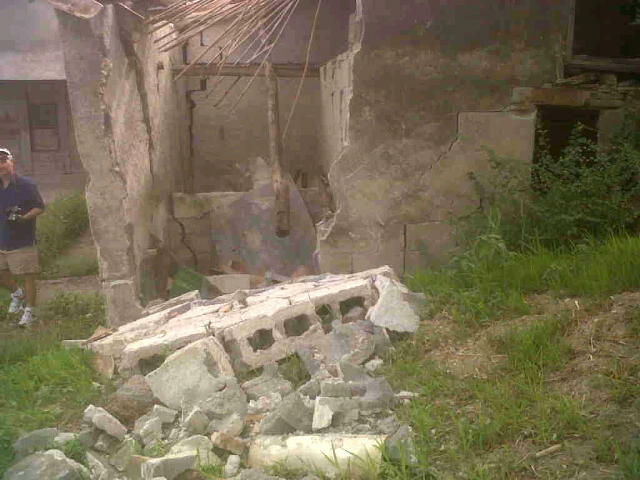 We didn’t start off with the brace as a solution but as we were having a cement post put in, the entire corner of the building fell off. When we got the text telling us the news of the wall collapsing there was a lot of reading and then re-reading the words because it didn’t really sink in. That sort of communication exchange not only stirs up emotions of heart-fluttering fear but also of determination. It has not been the first time we were faced with making a decision spur of the moment about some aspect of the renovation. We knew the barn was in dire shape and having the front of the building fall off in the end was not entirely a surprise. Almost done! What a difference! We envision using one section as a guest cabin space with loft bedroom and one section as “office” whatever that will come to mean. At least it will continue standing upright while we decide. It’s been a fun time researching cabins, there are a lot of clever ideas and we are keeping files of things we like and can afford and possibly build ourselves. I am currently obsessed with things you can make with pallet wood. It is another challenge and look forward to putting our woodworking skills to good use!